When we talk about being multi-talented, Khary Payton is one man who fits the description so well. For some, he is an actor popularly known for his role in the breakthrough series Walking Dead, which also stars one of Disney’s action stars Danai Gurira, who played the role of Okoye in the 2018 superhero action movie, Black Panther. To others, he is known as a voice actor who lends his talents to bringing the DC Comic character Cyborg to life in some movies, videos games, as well as cartoons. Khary Payton was born in Augusta, Georgia, United States of America, on the 16th of May 1972. In his early days, Khary had always been enthusiastic about the performing arts. By the time he was a teenager in high school, he began acting as well as performing as a stand-up comedian. After high school, he gained admission into the University of Dallas, Texas. While he was there, he quickly joined the theatre group in school where he was given the opportunity to perform in a good number of Dallas Theatre Center Productions. His career as an actor began in the mid 90’s starting with the period in which he clinched a small role on the series, Street Shark. Though the part was a very small role, it would serve as the foundation on which many more acting gigs would come. For the 2003 romantic comedy movie, Latter Day, he was lucky to have been featured alongside the very popular and talented actor, Wes Ramsey. Soon enough, his talents as a voice actor started to gain popularity when his voice was used in the Deus Ex video game which was released in 2000. Not long after this, he got a voice role in the kiddies animated series, Proud Family in 2002 playing the role of Slapmaster. In 2003, he got a voice role as Ten in the Dc superhero comic cartoon Justice League. This role would then lead to making him more of a go-to voice actor who will be used to bring the superhero character, Cyborg to life, both in animated movies as well as video games. Other cartoon voice roles he has starred in include; the character of Mitch in What’s New Scooby Doo? Maurice in Code Name: Kids Next Door, Hex in Ben 10, G.I. Joe: Renegades. 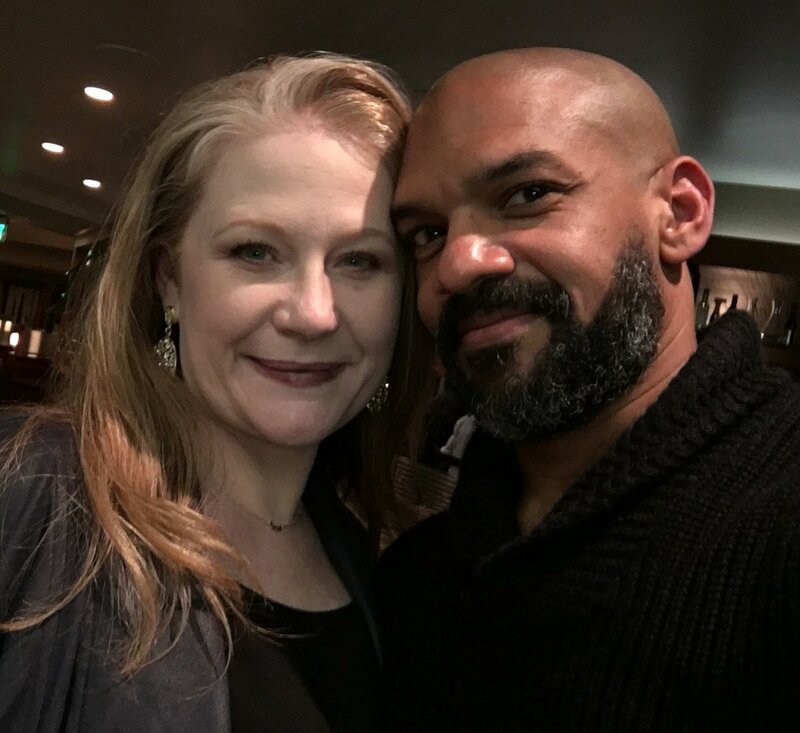 As a mainstream actor, Khary Payton has featured in both movies and series. In 2003, he acted in the movie Dracula II: Ascension as Kenny. He was also featured in movies like Latter Days (2004), Hellraiser: Hellworld (2005), Ping Pong Playa (2008), Blood: The Last Vampire (2009). On the small screen, he has acted in the 2011 ABC daytime soap opera General Hospital, starring as Dr. Terrell Jackson. He starred in one episode of the 2012 series Fairly Legal, as Tom Finnerman, as well as the role of Don in the series, Go On. One of his most iconic roles as a live actor came in 2016 when he was cast as the intimidating King Ezekiel in AMC’s The Walking Dead. This opportunity gave him a considerable level of fame to the point that people who never knew he was the voice behind their favorite superhero character, “Cyborg” were amazed at the sheer talent of this veteran. Given the fact that Kary Payton is over 40 years of age, it would be odd if he didn’t have a family to call his own. Accordingly, he indeed does have a tight-knit family, made up of a wife in the person of actress Stacy Reed Payton. The couple has two adorable daughters who he has managed to keep off the spotlight for so long. Before Stacy, Payton had given matrimony a first shot in 2001 when he got married to Linda Braddock but the union fell apart in 2009 when the couple got divorced.